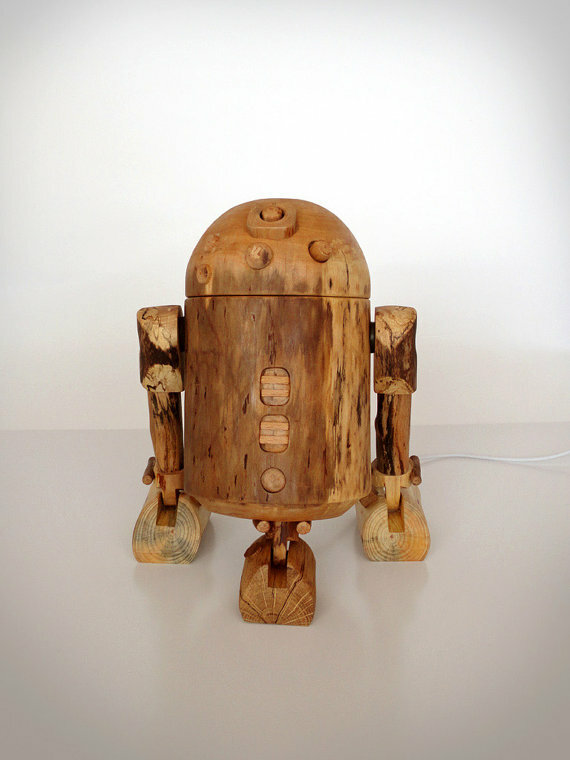 I've never really envisioned Star Wars' R2-D2 in wood, but here he is in all his rustic wooden iPhone dock glory! 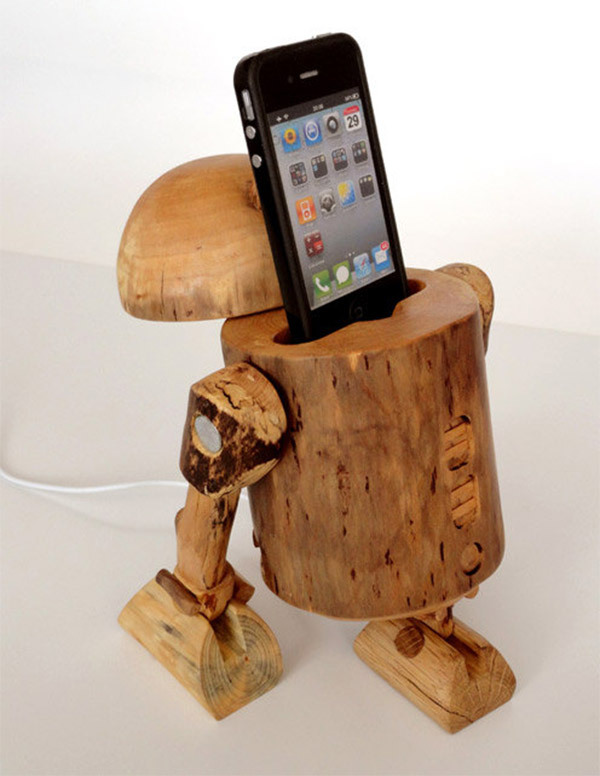 The iPhone dock was handmade by Etsy user Valliswood. 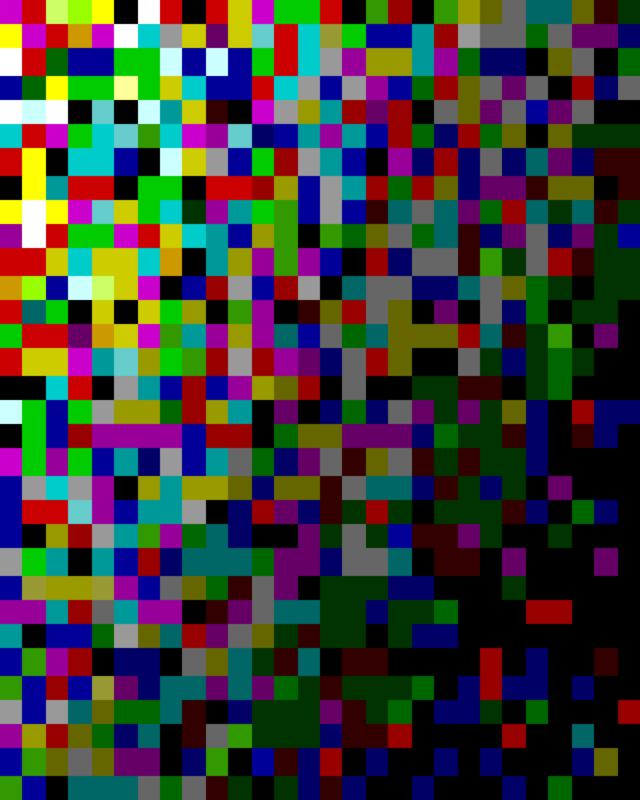 What to say... 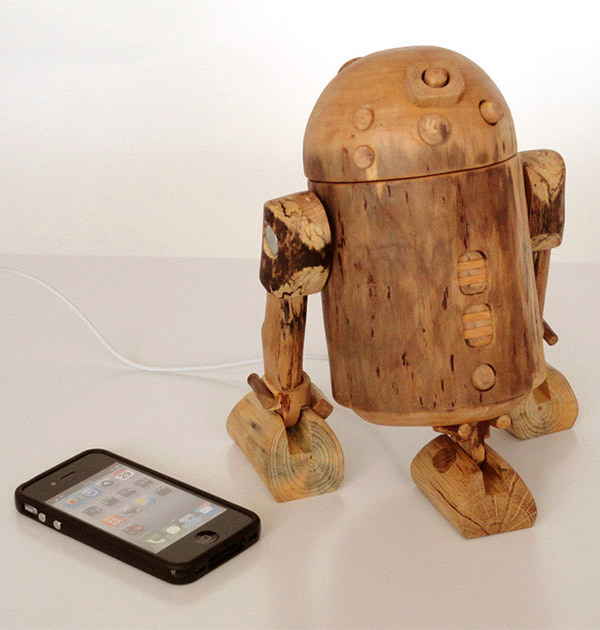 I am a big fan of the Star Wars and whole SF genre so logical extension of my work with wood is producing Robodock sculptures - robot sculptures in function of a docking station. 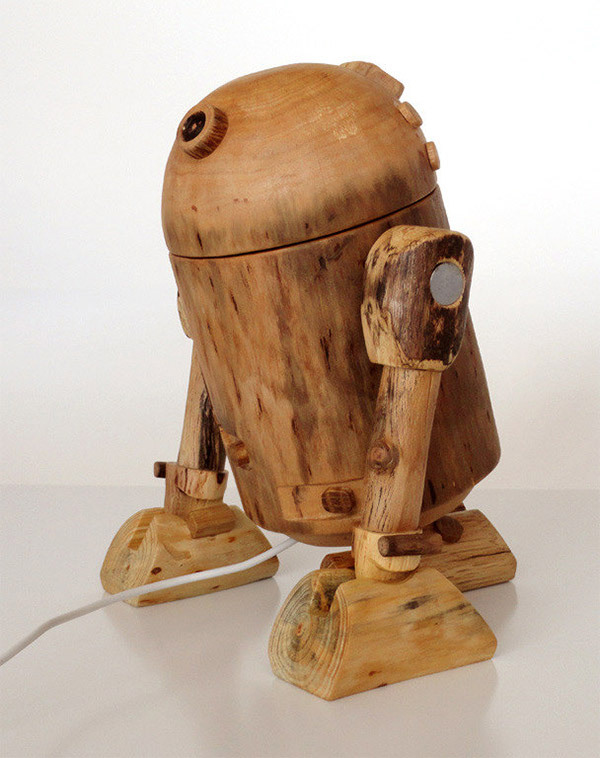 It is really exciting to combine natural wood parts to assemble legendary R2D2. This robot is not a toy, it is sculpture with the function of a docking station and should be handled gently and with care. The R2-D2 dock is selling for $210 over on Etsy.